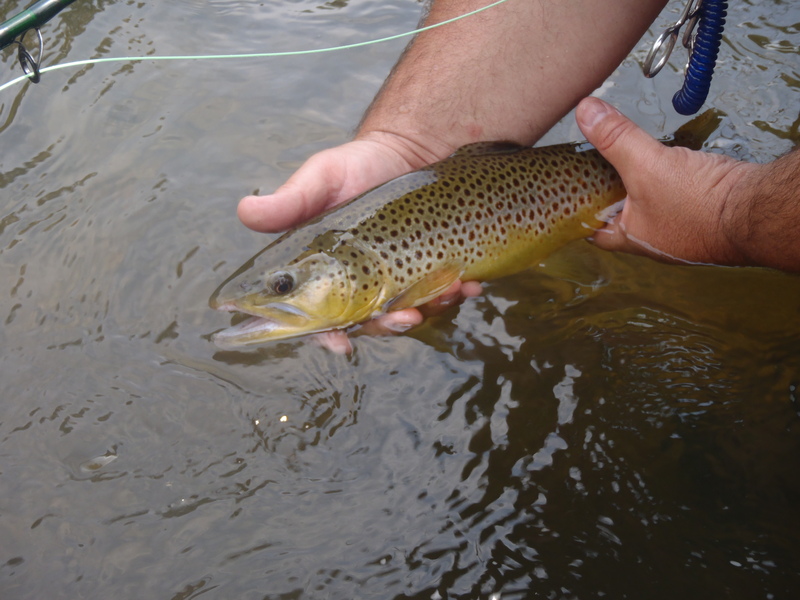 Fly Fishing the Tuckasegee River | Hookers Fly Shop and Guide Service. Your Smokies Fly Fishing Experience. The Tuckasegee Delayed Harvest has received its first fall stocking! Yesterday and today the stocking trucks were out delivering close to 10,000 fish to the delayed harvest section of the Tuckasegee River located between Hwy 107 and Dillsboro. It wasn’t long before word got out and hordes of fly and spin fisherman hit the river. At one point today there were probably close to 100 people along the delayed harvest. This will only last for a first week or so and then the crowds will die down a bit. Look for Friday, Saturday and Sunday to be the most crowded. Keep in mind that this section of river is close to 5.5 miles and fairly wide in most areas so there is plenty of room for everyone and no reason to crowd fellow fishermen and women. If you are in need of a guided wade or float trip please feel free to contact us. We offer 1/2 day, 3/4 and full day wade and float trips on this section of river. October and November are extremely busy months for us so it is always better to book your trip in advance. If you are in need of gear please feel free to stop in and check out what our fly shop has to offer. We are located just five minutes drive from the Tuckasegee Delayed Harvest on West Main St. in downtown Sylva. Be sure to click on the Duke Power link on our homepage to check out the generation schedule. Also, if you need to report wildlife violations such as poaching please call 1800-662-7137.